You can find out more information by clicking on this link and exploring the houses on Rightmove. Set behind the village cricket club and village church of Farnham Royal with modern English interiors by our own in-house interior and lighting designer, Sophie Brewster. 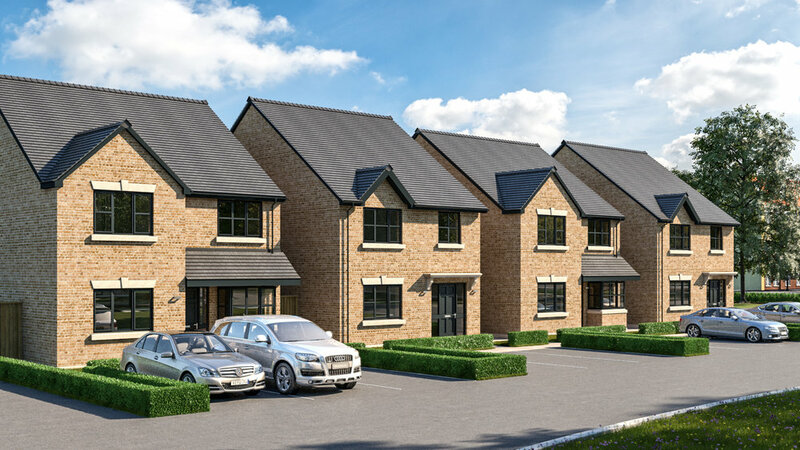 With prices starting at £845,000 for these 4 bed homes, set over 3 floors with underfloor heating throughout they are sure to fly out the door. So proud of our amazing team who in 4 weeks have demolished a 5 bedroom house, cleared a site ready for building, excavated and filled foundations, dug and installed services and drains, laid beam and block ground floors and built brick and blockwork up to Damp Proof Course. Yes, 4 weeks, 4 houses up to DPC. Thank you to you all who as always give their all for English Concepts. Now back to work for me, its hard keeping up with them in the office! English Concepts are delighted to announce the start of a new gated development project to build 4 new luxury townhouses near Beaconsfield, Buckinghamshire, starting next week. We are delighted to be working with Lida Cucina yet again and adorning each house with one of their luxury Italian kitchens. Flooring will be Mandarin Stone ceramics and marble along with some wonderful Philippe Starck designed bathrooms. Wall finishes to be supplied from Farrow and Ball and some useful Smart Home additions to include remote hot water, heating and lighting controls via your mobile phone. Our in-house lighting designer, Sophie Brewster, is planning a few clever little touches with regard lighting and interior design to personalise each home. Externally the houses will be constructed from Handmade Imperial London Stock bricks, natural stone cills and headers, grey aluminum guttering and slate roof tiles. Backing onto protected common land and a cricket field, those long Sunday summer afternoons can be spent relaxing with a glass of your favourite tipple whilst watching the 'gentleman's game'. We are currently working on some renders of the houses to include a walk through of the final product with a view to each house being for sale off plan from December 2017 onwards.